What a great catch! Both of you. 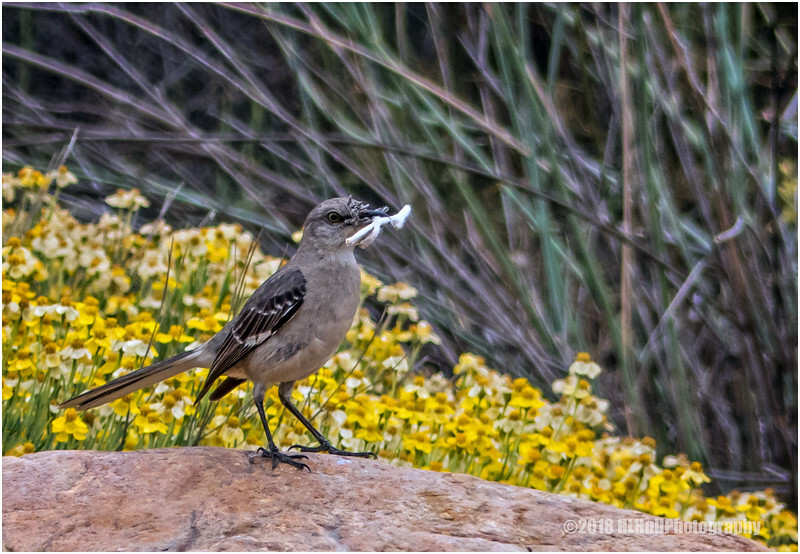 The yellow flowers make a nice backdrop for this Northern Mockingbird on a mission.